Home / HEALTH / 5 TIPS for choosing Peanut Butter! You opt for peanut butter on your fruit or toast and think you just made a healthy choice. Well, be sure to check the ingredients in your jar! All peanut butters are NOT created equal! Organic or non-GMO project verified– To be safe, I always try to go this route to avoid pesticides and GMOs. Unsalted- Opt for the jar that does not contain salt. Unsweetened- Try the nut butter that does not have added sugar such as corn syrup, cane sugar, molasses or even honey. You don’t need them in your nut butter. I like to reserve those sweeteners for when they really make a difference in the flavor of my food. Recognizable Ingredients- If you don’t recognize something, steer clear! You do not need preservatives and additives in your nut butters. 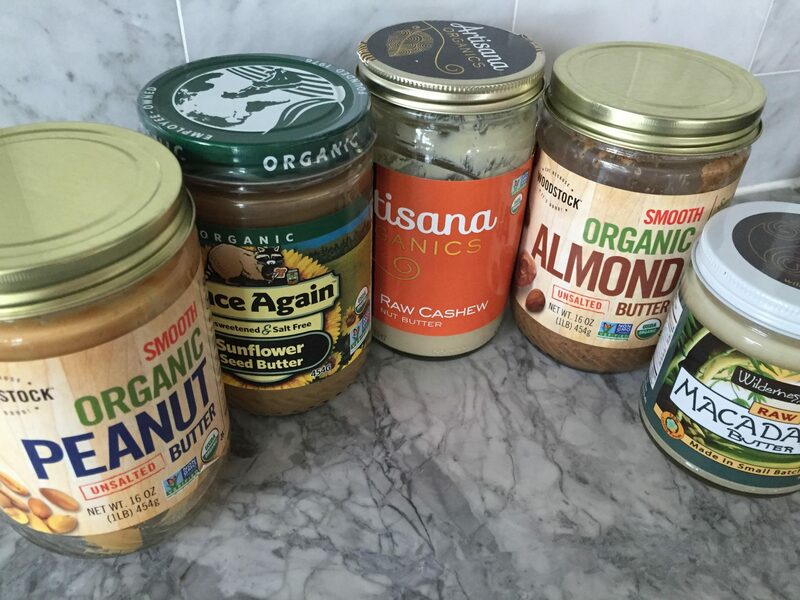 There are a few nut butters that I use less than others so I like to keep my jars in the fridge. Prior to storing in the fridge, grab a knife and stir the nut butter around to blend the oils well. Then my nut butter stays creamy all the way to the bottom. Do NOT contain potentially harmful oils- I prefer not to have palm oil, hydrogenated vegetable oil and soybean oil in my nut butters. It does not make sense. I just want the nut. I want a whole food! Your goal should be to always try to have the only ingredients on the jar be the organic nut. Also, try for “raw” if it is available! Some brands that do it right: Artisana, Woodstock Foods, Wilderness Poets, Nuttzo and Once Again.